Our city is one of the most diverse and beloved cities in the United States. It is a vibrant city that shines with various museums, cultures, food and festivals. 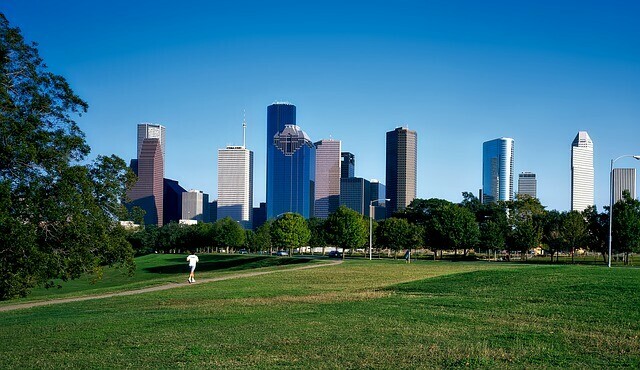 There are areas such as the Buffalo Bayou you can travel on to taking a trip the world renowned Houston Zoo. This city is rich in history and embodies the Texas attitude of independence and success. Many that visit take time to visit and see lot of the attractions that are readily available and accessible to them. Let’s have a quick look what you can do. Let’s begin with the history and how this famous city came to be. With housing over 2,300,000 people – yep its Americas fourth largest city and an economic powerhouse. It is also growing at an incredible pace year over year. Led by General Sam Houston it won its independence from Mexico in 1836 and was founded by Augustus C. and John K. Allen who only paid $1.40 per acre for 6,642 acres on August 30th 1836. Texas would become the 28th state in 1846 at which time the census polled at just 2,397 residents. The city is perhaps best known for its Space rockets which were moved to Houston in 1962 via NASA manned spacecraft enter. The city has since then built numerous parks, athletic centers, international airports and major shopping attractions. The city is also the most diverse city in the U.S. enjoying a large and mixed culture that comes thru in its food, art and entertainment. Over 31% of its residents hold bachelor’s degrees or higher. There are some really great attractions in this city. For families there is the Zoo. Perhaps one of the largest and best maintained zoos in the U.S. it ranks as one of the friendliest of the cities attractions. You can feed giraffe, see the baby elephants and eat a good burger all the same time with the whole family. Close to the zoo is the museum district that you can walk to with your family. There is the great natural history museum, the Museum of Fine arts and the kid’s museum. Plenty of parking, food and restaurants along the way to keep a large family busy the whole day! However getting to the other great attraction, The Downtown Aquarium – you will need to hop a ride. And last but by far not the least you cannot visit this city without going to see the massive Space Center. If you want to learn about space rockets and all its eras of space travel this is the place. The exhibits and tours will give you all of what you are looking for plus more! Just do not forget to take time for the Kemah Boardwalk, Buffalo Bayou and the Battleship Texas State Historic Site. All great and all worth the time it takes to visit. With some many places to visit and things to do in the city you will get hungry. Well you won’t find a lack of options from classic American cuisines to Indian favorites like tikka masala to Thai favorites like coconut curry. This city has just about every type of food you can want – we start with what it is best known for. It’s Texas, Mexican style cooking. Pappasito’s Cantina located at 1600 Lamar St, Hilton Americas, Houston, TX 77010 is a local favorite with several locations in and around the city. This deliver on serving some of the absolutely best Mexican food you will ever eat. There tortillas are unlike any tortilla you have had before and they serve all the traditional dishes you are craving. A must when you visit the city. Located at 2520 Montrose Blvd, Houston, TX 77006, Niko Niko’s will make sure your Mediterranean appetite is fulfilled. They have huge plate options filled with grape leaves, hummus, your choice of meat and yes, and some great pita breads. You should show up hungry because you are guaranteed to leave filled to the brim. If you are a sandwich fan this is on last place to stop at. Local Foods Rice Village at 2424 Dunstan Rd, Houston, TX 77005. Not only can you choose from just about anything on the menu. It’s vast, hearty and lots of options for vegans, vegetarian and us carnivores. Of course this is simply just a sample of all the great food and restaurant’s that this diverse city offers its visitor and locals each year. For the adults who want to put the kids to bed and enjoy some of the nightlife there are some really good options. We know that during the day you can find a lot to do because there is almost a festival every weekend. However, when the night comes there is also plenty to do. So here are some locations to visit for some of the best south Texas nightlife. Pete’s Dueling Piano Bar is one of the great favorites of locals. You can reserve tables with a group or enjoy the pianists in the standing room. You will definitely be entertained by the duo as they know how to throw a party. They get the crowd involved for the non-stop entertainment sing along fun. McGonigel’s Mucky Duck offers open mic night on Monday in this Irish pub. You can also get a great pint of some really good beer or choose wine if that is more of your thing. You will also enjoy the intimate setting and some really good music. Though not a lively as the Pete’s, you will still have a relaxing good time. Last but really a site to see is the Houston Rodeo. You can eat elephant ears; see bull rides, horse shows and competition and much more. There is a lot for adults and kids and all round good time for the whole family. This is one of the best ways to experience the city in its natural and local flavor. So if you can make to the Rodeo you should go but wear your best cowgirl boots if you can. You cannot visit without seeing the Houston Galleria. This mall is one of the largest shopping meccas in the U.S. You name the store and they have from the very high end to the most affordable. There is plenty to keep you busy from a large food court to many coffee and tea stands. The mall has a great indoor skating rink which is great for those hot and humid summers. You can rent the skates and be on your way. Another great shopping and hang out sport is the City Center shopping center. You can walk outside and enjoy some great shops and foods as well as taking in a movie if you would like. Many like to sit outside and enjoy a nice evening meal of lunch after some awesome power shopping. If you want a more town feel while you are shopping then Rice Village is for you. It’s a younger crowd with a slower pace. You can also get some really good snack of full meals with the host of options that they have to offer mixed right in with the shopping. When you arrive you should already have your hotel booked. All that shopping and eating will make you sleep like a bear and you will want a good place to do so. We have kept the list limited but straight to the point of some of the best options’. One of the favorites right in the action of all things is Hotel ZaZa in the museum district. This is a 4.5 star hotel that offers luxury right in the heart of all the fun things to do. You can walk to many attractions of take a taxi for just a short ride. You can hit the gym or take a dip in the pool before getting your day started and come back for dinner at the Monarch Bistro. If you want to go local and have a retreat like feel in a great park the Houstonian is for you. It sits on 27 wooded acres next to Memorial Park and is a staple of what makes Texas elegance a thing to see. Lot’s to do with spas, outdoor spaces, legendry restaurants and pools. The staff is outstanding and will treat you like royalty. If you want swankier locales for your stay consider the Post Oak Hotel at Uptown. Lot’s to do and many fine restaurants for you to enjoy. You can walk to many of them as well and sit outside of many eateries if you wish. If you love a good play and want to experience one or two or 10 on your trip there is 17 city blocks worth to choose from. You can go big or small and intimate with many performance options. Many don’t often think of this city for performing arts but it’s got some of the best in in the world. The Catastrophic Theater is an interesting group to visit. They are a modern and have an ensemble of professionally trained actors and novices. This gives them some great comedic and provocative plays. They are also a theater in residence focused on producing work with emotional experiences in a range of performances. They also have a “pay what you can” admission cost to help promote their arts as a destination for their community. The Society for the Performing Arts also has a host of great choice from plays, musicals and lectures that you can attend. Some of the title includes The Rock Horry Picture Show, Soweto Gospel Choir and Roman Rabinovich and much more. For some great music you can visit the Chamber Music. For close half a century they have deliver great chamber music by well-known artists. This includes more than 100 internationally recognized groups of which only nine are selected. The program is also sponsored by Rice University. Planning your trip can be as much fun as being on the trip. The buildup of traveling to the city and the anticipation can get you excited easily for what is about to come. That being said you will want to make sure you book your flights according to how you want you first and last day to flow. Many like to arrive early and leave late. If you plan to spend more than three to four days in the state go ahead and get a rental car. In many cases you can save money with renting as opposed to taking Uber rides everywhere. Keep in mind that this is a vast city and the cultural experiences will be wide. At times you may be walking a lot and eating different kinds of foods. So set your ternary ahead of time with all the appropriate shoes and other garments you may need depending on the time of the year you are visiting. You may want to consider getting a city past that grants you access to the Museum district, Kemah Boardwalk, The Space Center and More. You don’t have to visit them all in one day and you will save a ton of money buying the pass ahead of time. Once you have a city pass you can plan your daily visit schedule and not worry about having to stop and buy tickets in the lines which can get long in the spring, summer and fall months. Planning down time is also important. Take time to enjoy your hotel for a half day or take strolls around where you are staying. Vacationing is supposed to be about getting rest and relaxation after all. This will help you come back refreshed and ready to get back into everyday life. You will experience a city filled with diversity, art, great food and friendly people. You will likely be surprised that you eat the food of six or different cultures just in a few city blocks and see all kinds of plays and musical performances. So take your time and enjoy all that the city offers because we know if you do, you will certainly want to come back again.